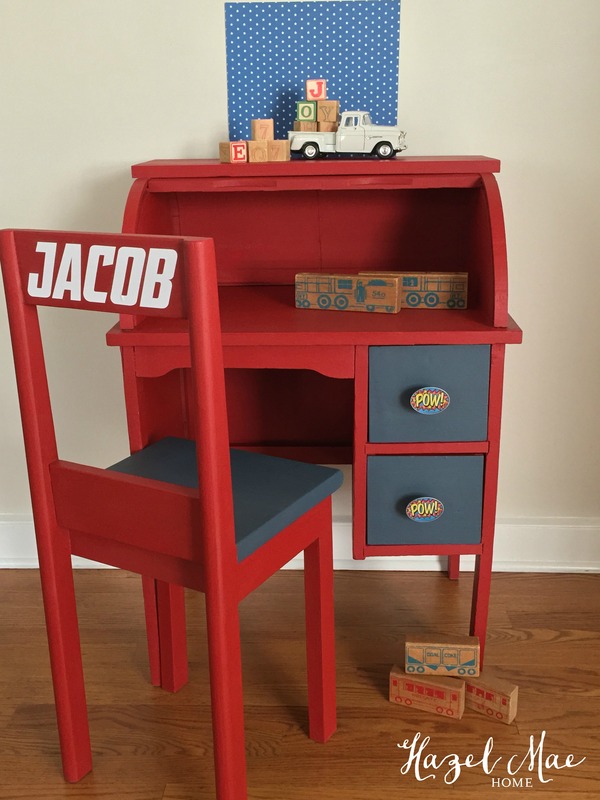 ← Vintage Painted High Chair! 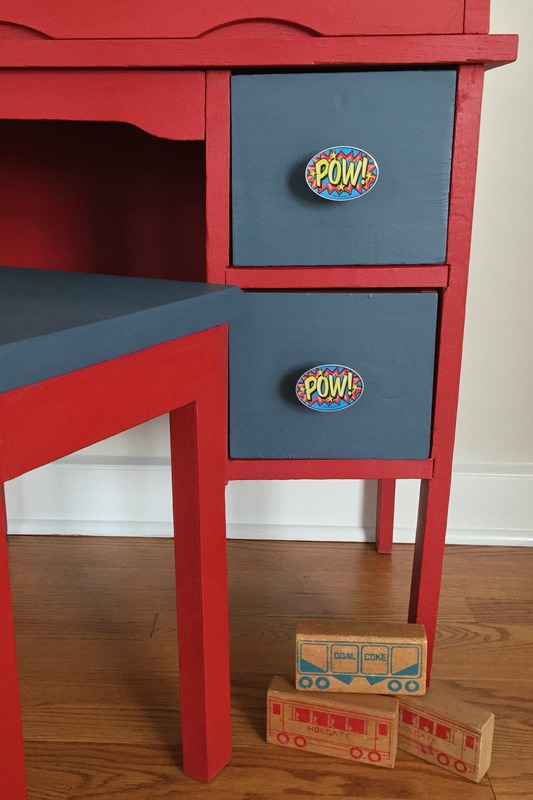 This vintage roll top desk and chair were redesigned for your super hero! A perfect place for your preschooler or young elementary school child to feel like a big kid doing homework. A place for them to save all those treasures they love to collect. A special spot to call their own. Painted in Annie Sloan Emperor’s Silk and a custom blue. Hand waxed with Annie Sloan Clear Soft Wax. 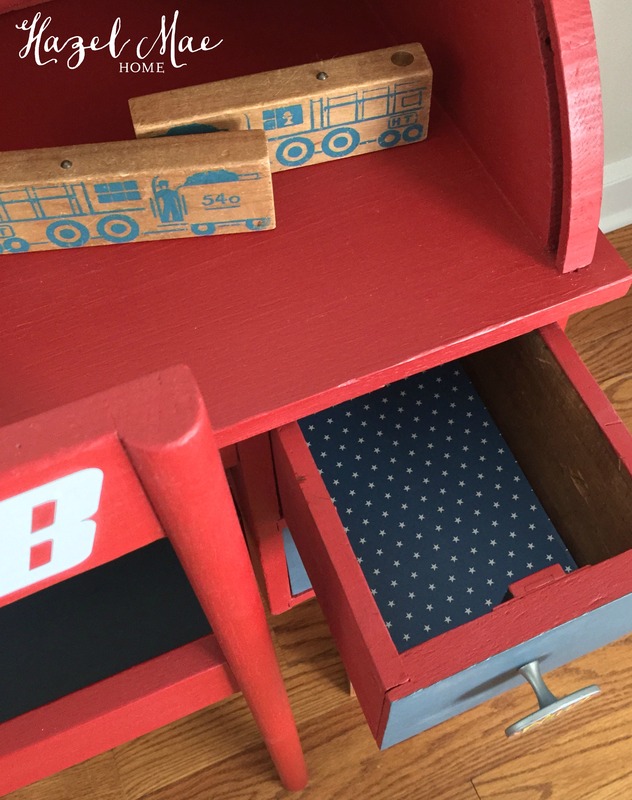 New “pow” hardware added and the two drawers lined with blue and white star paper. A very sturdy desk with reinforced joints and new hard board on the back. The roll top glides up and down easily. 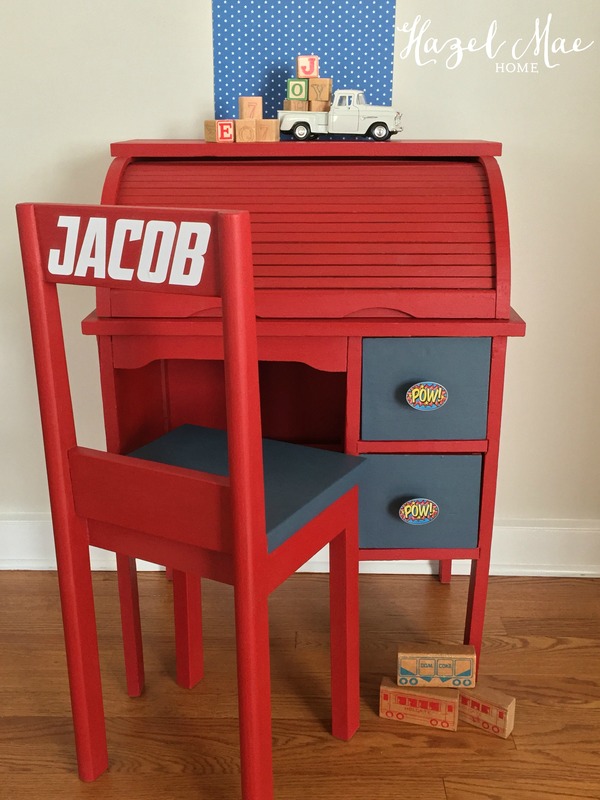 Chair will be personalized by Lemondrop Designs with your child’s name in either Annie Sloan Pure White or the custom blue used on the chair seat and drawer fronts. Font shown is “Avengers” but another font can be chosen. Customization of child’s name will be ready within one week of purchase. $305 including NJ sales tax and personalization. 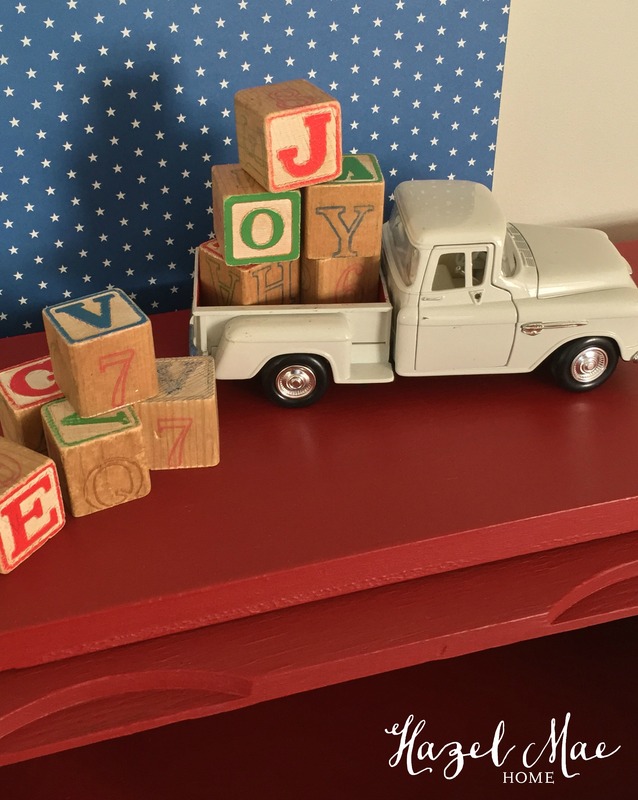 I enjoyed staging these photos with my Dad’s childhood blocks that now my daughter plays with. 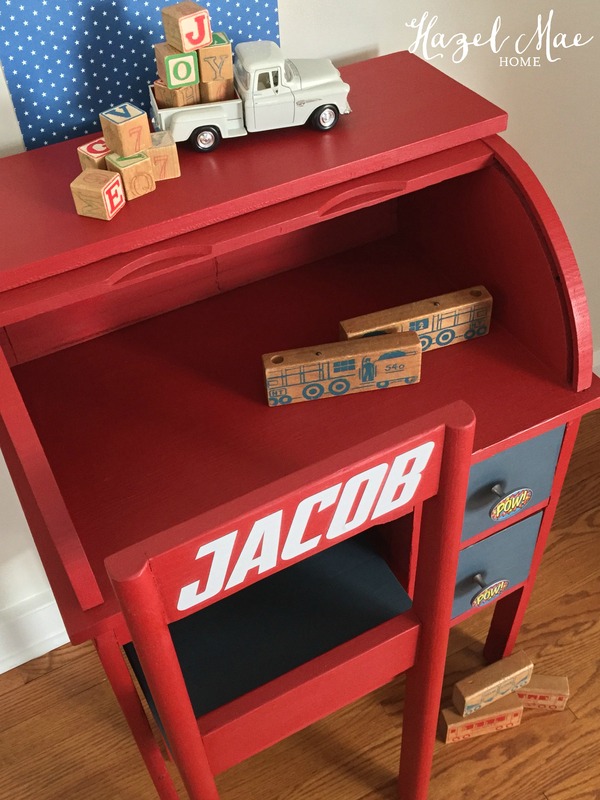 This is so cute and my nephew is called Jacob too!